Looking for the best blender to make cauliflower rice? You're in the right place... And it's easier than you might think! My top blender choices for ricing cauliflower (and why I picked them). How to actually make cauliflower rice in a blender. The pros and cons of all my top picks. After testing it on the slightly older version of the BL660, I can confidently say that this thing was almost designed for cauliflower rice. The multi-blade design and sharp blades are awesome at chopping the cauliflower without pulverizing it completely. This Vitamix can literally do everything and Cauliflower rice is no exception. I like making it a bit differently than you would with the Ninja by adding water to get a Vortex than straining it out. You can also do it by pulsing a bit at a time. You’re also getting the long warranty, raw power and genius design that comes with every Vitamix. I’ve never had a single regret about my Vitamix and I’m sure you won’t either. I personally overall prefer my Vitamix over the Blendtec’s that I’ve used, but there are some things that I feel the Blendtec does better. When it comes to cauliflower rice though, you make it the same way in both and they both yield similar results. Both have great warranties, so it’s really a toss-up. Making cauliflower rice in a blender is actually easier than it sounds. The only thing that you really need is a big blender jar. From there, you just make the cauliflower small enough to fit, put it in the blender and press go. You may or may not have to add water and drain to make things go smoothly. It depends if you go with the Ninja which has multiple blades or one of the Vortex creating blenders like the Vitamix or Blendtec. Cauliflower Rice made in a Ninja Blender with multiple blades. If you're not using a Ninja blender which has the multiple blades, it's ​easier when you add water in when you're making cauliflower rice. By doing this, you allow the blender to create a vortex. This brings all the cauliflower into contact with the blades rather than just what's at the bottom. Using water to chop cauliflower makes it easy for blenders that create a vortex. You can get away with just pulsing, but in my opinion, the water makes it much easier. The only downside is that you have to strain out the water afterwards. If you are using the Ninja, you can just put some cut up cauliflower in the blender. The Ninja functions like a food processor in this regard; it quickly dices the ingredients rather than drawing it all to single point during the blend cycle. Cauliflower is a pretty big vegetable. Making a bunch of rice in a small blender like a Nutribullet is going to be a real pain - even though you could certainly do it. You'll just have to do it in smaller chunks. This isn't really ideal because if you've ever made cauliflower rice before, than you know that it can cook down a bit. As the water evaporates, the "rice" will lose a lot of it's original volume. This means you want to be able to process as much cauliflower as possible in the shortest amount of time. A small container means that you're more likely to make a mess when you put the cauliflower in the blender. Something with a nice wide opening will give you less to clean up on your counter. You don't need a super-duper motor for cauliflower rice, a decent one will do. That's why this list includes units that are a bit less powerful, like the Ninja. However, if you're going to be buying a blender, I strongly believe it pays to get the best one you can afford with the longest warranty. This is a kitchen appliance you want to buy once and not worry about for years to come. That's why I'm partial to the Vitamix and Blendtec line. It's not 100% necessary, but speed control is a nice function to have if you're making cauliflower rice. It gives you a bit more control over the texture and you can make it more or less fine depending what you're trying to achieve. The ability to easily switch the blender on and off (pulse function) is an absolute must. Some blenders actually don't have this and have strict pre-programmed cycles that spin for a certain amount of time. As you might imagine, we didn't include any of them on this list because it would be near impossible to control the texture of your cauliflower rice. I happen to own the slightly older version of this blender and it does cauliflower rice wonderfully. All you need to do is cut the cauliflower so it fits, place it in the container and press pulse! After a few pulses you've got yourself a beautiful cauliflower rice to use for whatever your heart desires. This blender is generally affordable to most people. The container is 72 oz which is a really nice amount of room for a blender. If you're making cauliflower rice, you need all the room you can get! It's good enough for basic smoothies, sauces and grinding jobs. Comes with lots of different accessories such as convenient to go cups which make it easy to blend and set off on your communite. The warranty is only a year long. The other blenders on this list offer much longer and comprehensive warranties. Most blenders will have a problem at some point in their lifetime, so I really feel it pays to have a solid warranty you can rely on. 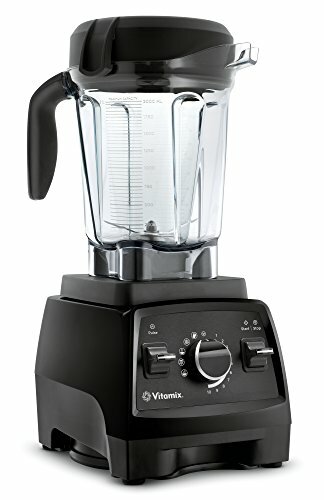 If it's within your budget to get the Vitamix 750, then do it! Cauliflower rice is easy to do with the "add water and drain" method that I previously mentioned. 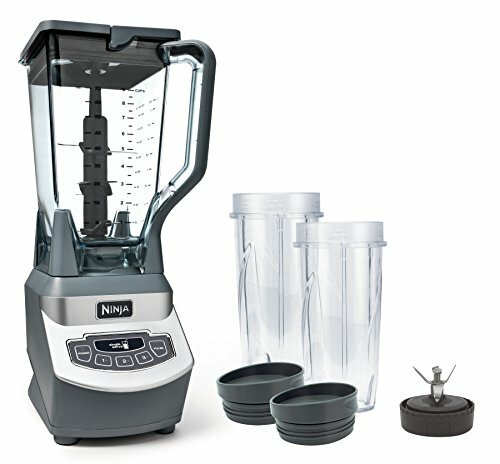 This is a blender that you'll use and cherish for years to come for recipes you might not even know yet! Great warranty that I can personally vouch for. Vitamix has taken my blender back and sent me new parts completely free of charge. Variable speed knob gives you complete control over the fineness of your cauliflower rice. Mashes and purees aren't an issue for the high speed settings and bigger chunks remain in tact on the lower speeds. Pulse function (a bit new to Vitamix blenders) lets you do a quick chop without having to switch it on and off. Large 64 oz container is designed to be wide to fit under kitchen cabinets. Powerful enough to make any blend silky smooth. Venting lid and high-friction blades capable of making hot soup right in the blender without a fuss. Tamper ensures that nothing gets stuck in or around the blades. Has some pre-programmed functions which means you can blend and walk away for certain recipes. May be out of the price range for some. There's always heated debate on whether the Vitamix is better than the Blendtec, or vice-versa. Really, it comes down to the tamper. The tamper on the Vitamix helps push ingredients into the blades during tough blends when a vortex can't be created. The Blendtec Total Blender has a version of this called the Twister Jar, but it is sold separately. On the other hand, the Blendtec is more powerful and better at certain thick blends, assuming there is enough liquid to create a vortex. In the case of cauliflower rice, this won't matter much. Simply add water with the cauliflower and do a quick pulse. Drain the water after and you've got your rice. There's really no need for a tamper in this application. Excellent reliable 7-year warranty. I can also vouch for how good the customer service is because my brother has had this repaired a few times without hassle. Extremely Powerful. 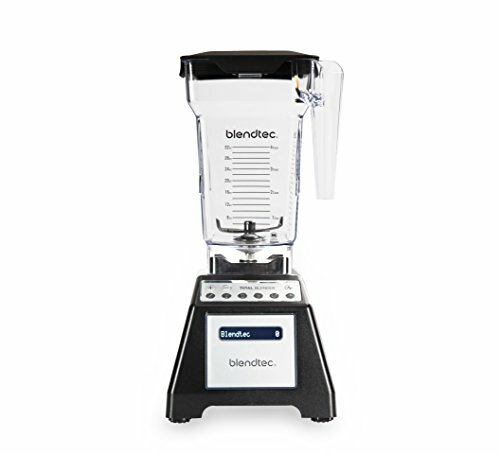 Blendtec makes the most powerful blenders and this one is 3-peak horsepower. If you do decide to get the Twister Jar separately, there's literally nothing that it can't get through. Speed Control and Pulse functions make it easy to control how pulverized you want your ingredients to be. Pre-programmed functions such as batter, ice cream and hot soup. Yes, it can make hot soup right in the container just like the Vitamix can. Easy to wash by hand or by blending with soap and warm water., but also dishwasher safe. Doesn't come with tampering device included. May not be affordable for some. No matter which one of these blenders you choose for cauliflower rice, I’m confident that you’ll be happy. Ricing in a blender is so much easier than using a knife or grater. If you’ve made it a goal of yours to eat more veggies, then this is certainly a great way to do it! Just remember, Vitamix and Blendtec do better when you add water to create the vortex. The Ninja will act more like a food processor with all of it’s chopping blades.